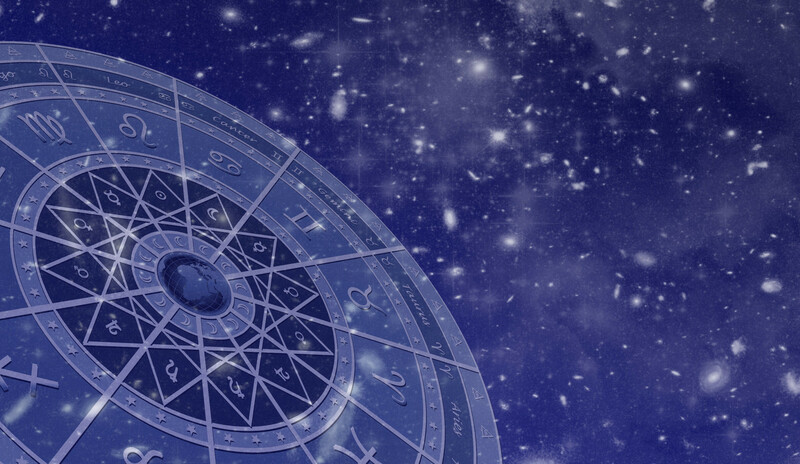 In this Blog we shall take a look at what role the nine planets play for Virgo ascendant. Once we determine whether a planet is beneficial, harmful or neutral, we can can either neutralize its power or augment it to suit us. As usual we shall start with Sun. eye. A strong Sun gives good results in regard to finance and power in spite of the lordship of the twelfth house. This is due to the fact that Sun is a luminary and is not tainted by the lordship of the twelfth house. If there is a link between the second and twelfth house, the person is generally a spendthrift. If Rahu or Saturn aspect Sun, they give severe eye trouble. One may even lose eye sight. The representative gemstone of Sun is red Ruby. The minimum weight that is required for a red Ruby to become effective is five Carats. Bigger is always better. This should be set in a gold ring, and worn on the ring finger of the right hand. The setting of the gemstone should be such that it touches the skin and trickle charges the body. Such a ring will bring about freedom from all types of health issues connected to stomach. It would bring increased favors from the government. All children related matters will get a significant boost. A Ruby ring will also bring about an increase in good fortune. This ring should be worn on a Sunday falling within five days of Purnima or the full Moon day. The ring should be washed in Milk and water mixture and then patted dry. It should be then dipped in Turmeric powder and kept aside. On a silver or stainless steel plate make the Surya Yantra as given below with a mixture of Roli and water. After it dries, place the Ruby ring on the Yantra and offer it incense and a lighted lamp. Chant the Surya Mantra 108 times and then wear the ring on the ring finger of the right hand. This procedure mentioned above is called Pran Pratishtha or infusing the ring with energy and should be done every two years. The favorable results of the Ruby become apparent with in the first forty days. There is an immediate enhancement in health. Digestion improves and eyesight stops deteriorating further. Bone density increases. For those suffering from fractured bone, Ruby is a God send. Ditto for those convalescing after a heart attack, illness or surgery. Children begin to do well and there is a distinct improvement in the relationship with the bosses. Any work or project which is snarled up in the bureaucracy becomes tangle free and moves forward. Ruby gives all round success. Moon becomes the lord of the eleventh house and rules over financial gains and income. She represents the life partner of the son or daughter. Injury, illness and foreign influences also fall under her domain. Strengthening Moon helps in increased income and buoyant finances. If the marriage of the son or daughter is getting delayed, it helps the process. The representative gem for Moon is pearl. It’s minimum weight for astrological purposes is five Carats, though bigger is always better. The Pearl should be set in a silver ring and worn on the little finger of the right hand. The setting of the Pearl should allow it to touch the finger. Wash the ring with milk-water mixture and pat it dry. The ring should be worn on a Monday falling with in five days of Purnima or the full Moon day. On a silver or stainless steel plate make the Chandra Yantra given below with a mixture of Roli and a little water. After it dries, place the Pearl ring on the Yantra and offer it incense and a lighted lamp. Then chant the Moon Mantra given below 108 times and wear the ring. OM SHRAM SHREEM SHROM SAHA CHANDRA MASE NAMAH. With in forty days of wearing the Yantra it will bring steadily rising income and prosperity. Unmarried children’s marriage will be hastened and those already married shall lead happy lives. Mental tranquility and contentment are also augmented. For those whose mother is battling bad health, Pearl is a boon. If Moon is associated with Saturn or Rahu in any form or manner, it causes a great deal of mental anguish. In cases of severe affliction it takes away the mother altogether. A pearl is the surest way to counter these. Mars becomes the third and eighth house lord. Both are houses of longevity. If Mars is strong, the native is long lived. The nature of the influence exerted on the eighth house and Mars denotes the mode of death of the native. If Mars is placed in the tenth one commits many undignified acts in youth. Mars becomes the third and the eighth lord so a strong Mars gives good longevity. At the same time such a Mars will give utter poverty. Mars in Gemini in the tenth gives vices and as a violent mind. Mars should therefore be left alone. However it the longevity is greatly threatened, and it becomes imperative to fortify Mars, it should be done by wearing a white Coral. The minimum weight of the Coral should be five Carats though bigger is always better. It should be set in a silver ring and worn on the ring finger of the right hand. The Coral ring should be washed with milk-water mixture and then worn on a Tuesday falling with in five days of Purnima or the full Moon day. On such a Tuesday, make the following Yantra on a silver or stainless steel plate with Roli and water mixture. Allow it to dry and then place the ring on the Yantra. Offer incense and a lighted lamp and chant the Mars Mantra given below 108 times. OM KRAM KREEM KROM SAHA BHOMAYE NAMAH. This energizes the Coral ring and it becomes fully capable of giving the desired results. With in forty days it shall make a significant improvement in health and increase the life span. 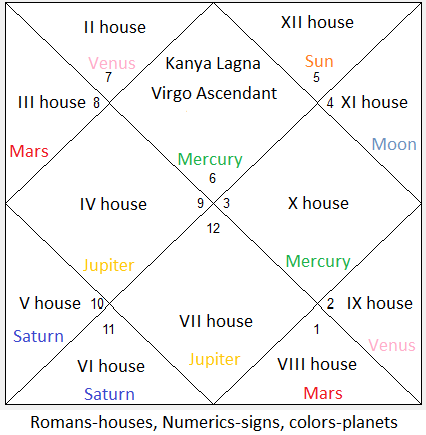 Mercury becomes the lord of the first and tenth houses and therefore very beneficial. Strong Mercury gives ruling powers, honor, wealth and status in his Dasha-Bhukti – Planetary periods. A strong Mercury also ensures early wealth to the father. The person engages himself in charitable deeds. Strong Mercury gives wisdom, honor, attractive appearance, practicality, liking for art, fondness for music etc. Afflicted Mercury gives intestinal and stomach diseases, skin troubles and other physical problems. It is thus highly desirable to boost the power of Mercury. This is easily done by wearing its representative gemstone Emerald . day. Wash the ring with Milk-water mixture and pat it dry. On a silver or stainless steel platter make the following Yantra with Roli-water mixture and chant the Mercury Mantra given below 108 times. OM BRAM BREEM BROM SAHA BUDHYE NAMAH. A lamp should be lit and burning incense should be offered to the Yantra. A properly energized Emerald ring, with in forty days shall bring about a palpable change in the financial situation. Income and wealth will both begin to increase and so will domestic happiness. If there is a speech defect or acne problem on the face, that too shall slowly be cured. What do you think of this Blog? please leave your comments in the comments section.